Bret Hart has the distinction of being the second to last guy in the ring at the first two WrestleMania battle royals. He also teamed with Jim Neidhart at several Manias including a six-man tag at 3. The duo joined forces at 5, 6 and 7. 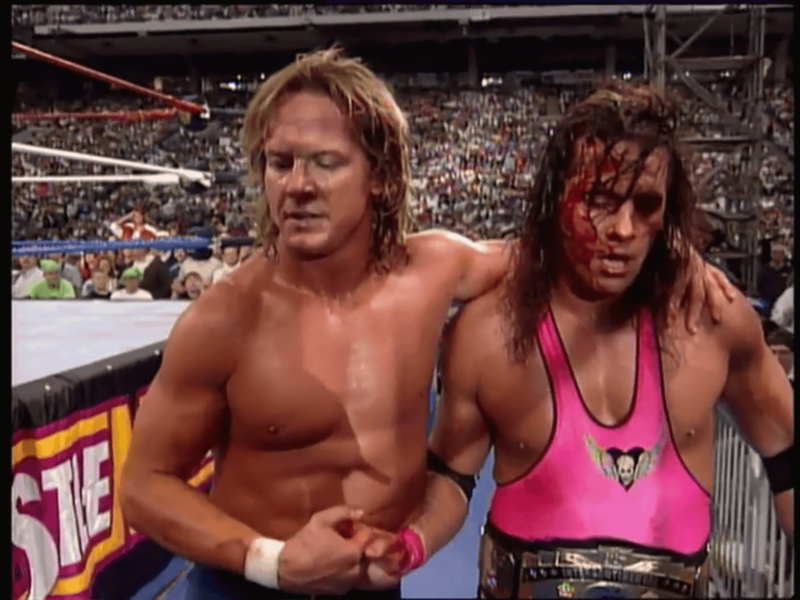 The Hitman went on to win the IC title from Roddy Piper at WrestleMania 8 in one of the best matches at the event of all-time. He picked up the World title from Yokozuna a year after losing it to the big man also at a WrestleMania. He had amazing matches with his brother Owen Hart and of course the big Iron Man match against Shawn Michaels and the "I Quit" match against Stone Cold. Hart returned to the ring in 2010 to face Vince McMahon in a street fight. While it was an ugly encounter, it gave the Hitman a chance at closure after his abrupt departure from the company in 1997. “The Hitman” bridged the gap between Hulkamania and the Attitude Era. During that time, Bret faced off against Roddy Piper, Yokozuna, Bob Backlund, Shawn Michaels, Owen Hart and the already mentioned, Steve Austin. Add in his tag team matches as part of the Hart Foundation and you’ve got a solid WrestleMania resume.